Modern young earth creationism has no historical pedigree. 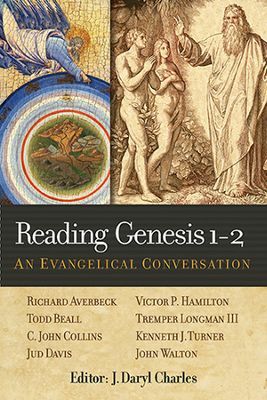 It is impossible to go through a comprehensive survey of early Christian teaching on creation, so my discussion here will be necessarily brief. Further reading may be found in the sources cited, below. I note that if someone wants to contradict my contention, above, they must present evidence showing that the claims about Flood Geology, etc. are all present in early church writings, or indeed any church writings before around 1600. Now, it is a simple fact that for much of church history, theologians held that the Earth was only a few thousand years old. Do not take this sentence out of context. Recall that we’re talking about modern young earth creationism, not just a belief that the Earth is young. To say that because, for example, some church fathers held the world was a few thousand years old and allege that proves they held to modern creationism is a blatant historical anachronism for several reasons. These quotes could be (and are, in the literature) multiplied. The simple fact is that the earliest interpretation of the Genesis text was yes, that it took place in 6 days, but also that those 6 days were important because they outlined the 6000 years of all of Earth’s history, which would end in a seventh day rest of 1000 more years. Does that sound like modern young earth creationism to you? It shouldn’t. I don’t know of any modern creationist who holds that the Earth should have already ended because it is more than 6000 years old now, or that the days in Genesis correspond strictly to days of 1000 year lengths that define the history of creation. Second, even the early thinkers who resonate most closely with modern young earth creationism would not have recognized it as it exists now. Early flood theories often had the water simply get placed on earth miraculously and then destroyed by God, held to a “tranquil flood” theory in which the global flood didn’t make any impact on the surface of the planet, held that fossils weren’t actual vestiges of previously living organisms (an interesting piece of geological history), and the like. Why is it that YECs take these writers out of their historical contexts? It would be easy to say it is due to a project of quote-mining to find support for one’s view in the past–and I’m sure this is part of it–but perhaps a lot of it is just mere ignorance. The volumes of writings we have from the church fathers, for example, would take years to read, and lifetimes to become well-versed in. Many haven’t even been translated. Thus, it is more expedient to simply find the quote that supports one’s view and use it. But that’s not at all how we should construct historical theology. The fact is that the constant parade of claims made by YECs that their position is that of the early church is only possible because of a lifting of quotes from church fathers out of their context in order to support the position. Moreover, the people quoted themselves, though they would support the notion of a “young earth” would do so for theological reasons tied to their view of the whole of human history–one which I know of no modern YEC buying into. To cite them as supporting modern YEC, then, is a kind of baptism-by-decontextualization. Only by ignoring the very reasons the early church held their views and the theological worldview that the early church operated under can a YEC find support for their view. An analogy might be helpful here. To say that the early church agrees with modern young earth creationists would be like saying the early church agrees with modern modalists. Why? Because, after all, many modern modalists claim to be able to uphold the Apostles’ Creed, which, after all, never speaks of distinction of persons in an explicit enough way so as to exclude modalism. Thus, a modalist could say “Our view is from the Apostles’ Creed.” Now of course this is an extreme example, and one could argue at length as to whether the modalist is actually agreeing with the historic Creed, however, the point is that simply finding a single point of doctrine with which one agrees does not mean that one holds to an historic Christian view. It is instead to treat a system of doctrine as something which may be broken apart piecemeal into individual affirmations and then find one of these affirmations with which one agrees. But that doesn’t show one agrees to the system, only to one decontextualized part. Thus, the best a modern YEC can claim is that the early church also felt the Earth was only a few thousand years old. But to leave it at that is disingenuous, because it paints a picture as though the early church believed this for the same reasons the modern YEC does, but that is not the case. Or perhaps instead it is to, as noted above, just break apart doctrinal systems into component parts and just pick what suits oneself. In either case, it is a mistaken way to approach the question. The reason the early church held to the young earth was because, as noted above, of their view of the history of the Earth corresponding to 6 days of 1000 years each, not because of alleged geological evidence for a global, catastrophic flood. Although some of the early writers did not hold to this 6 – 1000 paradigm, it is very clear from their writings that there was absolutely no familiarity with the kind of “the Flood did it” reasoning which is so pervasive in YEC today. Modern creationism is founded upon Flood Geology, an absolutely foreign concept to the earliest church teachings. Indeed, the notion that the early church would have even recognized modern YEC is a bit absurd. Modern YECs use the Noachian Deluge to explain the fossil record, stratification, and the like. 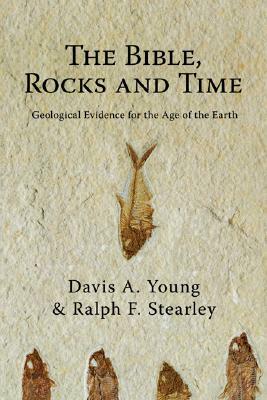 But up until John Ray’s time period in the late 1600s, it had been assumed fossils were simply tricks of the rock, not vestiges of once-living organisms (for some interesting reading on this history, check out this post on John Ray). Thus, someone living earlier would simply not have understood what was meant by saying fossils were due to the Flood, let alone knowing what fossils even refer to! Moreover, stratification as a studied feature of geology didn’t really begin in earnest until the 1800s. 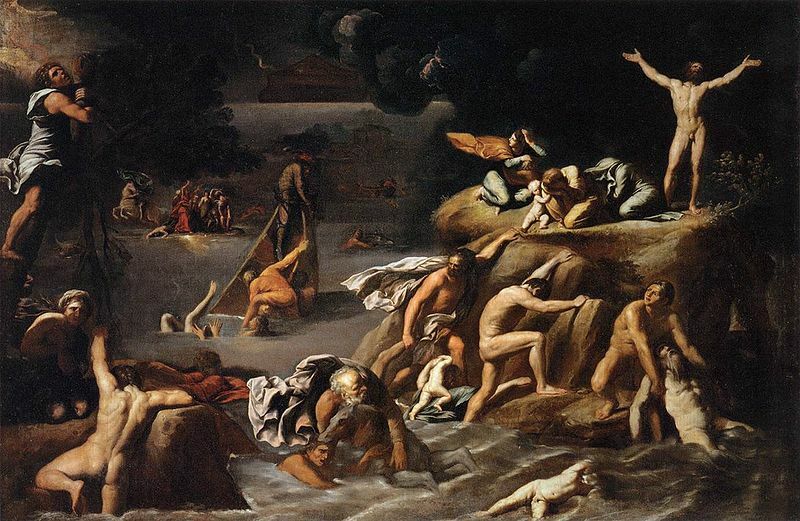 Again, to then attribute Flood theories back to the early church is wrongheaded. To put what we’ve reviewed above all together: modern young earth creationism does agree with the historical church broadly on the age of the Earth. That’s it. But the categories of thought in which the church has historically envisioned the history of the universe–the very context which YECs try to link their views–have no points of contact with modern creationism. Indeed, they would have been baffling to the early church because these points of contact with Flood Geology simply do not exist. The reasons the early church believed in a “young earth” were linked to their own faulty reading of Scriptures, and an eschatology not shared by modern YECs. In short, Modern Young Earth Creationism has no historical pedigree. Well yes, it does mean that. But that hardly justifies belief in modern YEC. Modern YEC is an invention intended to unify the geologic record with an interpretation of the Bible. It is itself an entire system. This interpretation, which leads to speculation about the way the flood formed the geologic record, is not found in the early church. If you disagree, find it for me. Demonstrate that, say, Irenaeus when he wrote about the entire history of the Earth as corresponding to 6 days of 1000 years each, was actually speaking of how Noah’s Flood shaped the geology of the planet in order to layer sediment one atop the other. If one cannot do this, they should not claim to garner support for YEC from the early church. Once more, YEC has no historical pedigree. “Oceans of Kansas,” Unexpected Fossils, and Young Earth Creationism– I discuss the alleged findings out out-of-sequences fossils in the fossil record and how YEC explanations fail to show they are attributable to a global catastrophic Flood. Stanley L. Jaki, Genesis 1 Through the Ages (New York: Thomas Moore Press, 1992). Ken Ham Rescinds Alien Damnation? Well, that’s all well and good, but I’m curious as to how someone could say that I would be mistaken for thinking that this would somehow make invalid the analysis I made of his site regarding aliens being doomed. But it seems Ham is responding by simply saying that there are no intelligent beings elsewhere, and so we are supposed to conclude that that somehow means aliens would not be doomed (because there are none). But that doesn’t really meet the analysis of some of those who are critiquing Ham’s position. You see, the Bible makes it clear that Adam’s sin affected the whole universe. This means that any aliens would also be affected by Adam’s sin, but because they are not Adam’s descendants, they can’t have salvation. Thus, according to Ken Ham himself, if aliens do exist, “they can’t have salvation.” I’m not sure exactly what distinction is to be made between this and going to hell, but it seems that Ham’s only answer is that there are no aliens, so this doesn’t apply. Again, that doesn’t meet the critique I’ve already leveled against his view. It is point 3 which I took issue with in my post, but the headlines Ham cites seem to combine all 3 points into one without any clarity. Thus, I appreciate Ham clarifying his position. The points I brought up in my critique, however, still stand. Ken Ham Declares Aliens Eternally Doomed– I analyze Ken Ham’s statements about aliens and the possibility for their salvation. 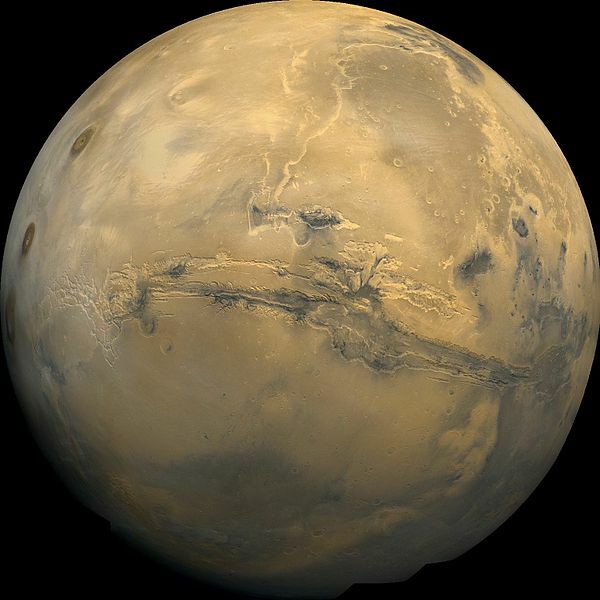 Alien life: Theological reflections on life on other planets– I engage in some [highly] speculative theology related to the possibility of aliens. 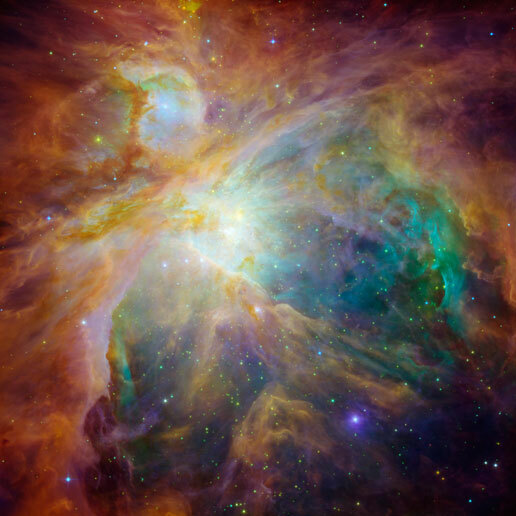 Did God Create the Universe for Humans?-Some Thoughts on God’s purposes for creating– I argue that God’s purposes in creating are needlessly limited when people object that God created the universe [only] for humankind. Aliens that believe in God: The theological speculations of Robert Sawyer’s “Calculating God”– I reflect on a science fiction book, Calculating God, which has aliens that believe in God. The first part occupies the bulk of the book (100/179 pages of text). 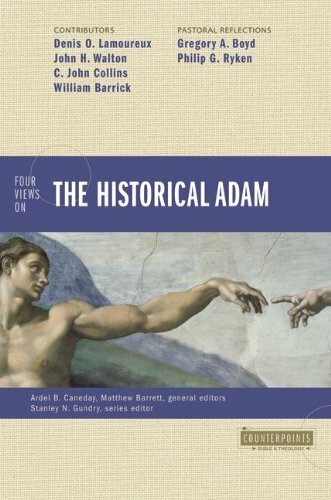 In it, Osborn first offers his interpretation of the creation account in Genesis 1. His take on it is that is fairly open to being taken in a number of ways. For example, having creatures come forth “from the earth” may be direct special creation, or a linguistic device aimed at describing the “open” status of creation–its ability to change and self-correct (see esp. 27-28). After laying out the interpretation, Osborn sets out to show how “literalism” is a mistaken hermeneutic. He argues that literalism has been brought to the forefront due to Enlightenment ways of thinking. That is, biblical literalists are influenced by modernism and their readings tend to be highly reliant on that kind of rationalist epistemology (42ff). A major difficulty with literalism, he notes, is that it seems to ultimately lead to fideism: one’s view of what the “plain sense” reading of the Bible is must be taken as normative for all areas of inquiry (44; 45-46). Another difficulty is that literalism tends to actually go far beyond what the text says in order to defend a preferred interpretation of the text (56-57). Scientific creationism, Osborn argues, is flawed because it isn’t a “progressive research program” but rather a “degenerative” one. That is, scientific creationism is simply adjusted in an ad hoc way to meet new challenges rather than predicting them (63ff). He rounds out this first part with a discussion of how literalism ultimately leads to circling the wagons and an “enclave mentality,” alongside various representatives of historical interpretation of Genesis–Barth, Calvin, Augustine, and Maimonides. The second part focuses on animal suffering and approaches it from a number of angles. He begins the section with three difficulties with a “literalist” view of animal suffering and the Fall. Briefly, these are the notion that a flawless creation as put forward by some seems to simply be the winding up of a watch; that God is made to be a deceiver; and difficulties with how the curse is to be applied to animals (126ff). These are presented briefly but cogently and each offers a unique challenge to typical creationist readings of the text. Next, Osborn turns to explanations other than the Fall as reasons animals suffer. He turns to the book of Job and argues both that God may have created nature with predation and death and also that God’s answer to Job out of the whirlwind may be applied to animal suffering (154-155). Moreover, God’s choosing to participate in the world in the Incarnation helps to consummate all creation and bring it to completion (165). This section is understandable, and it is easy for someone like Osborn–a former YEC (like myself)–to want to lash out against these formerly held, and sometimes damaging, beliefs, but it is not a very helpful. I suspect it will alienate any readers he would perhaps hope to engage in dialogue, which leaves one wondering about the audience for the book. Another difficulty with Osborn’s sustained critique of “literalism” is that he never provides much insight into how and/or when texts are to be read literally. That is, would the Gospels need to be read literally when they speak of Jesus dying on the cross and rising again? Osborn clearly affirms this, but doesn’t provide mechanisms which distinguish between “literalism” and simply proper exegesis which would allow for and engage with literal readings of the texts. One further problem is that the book, despite purporting to be about Death Before the Fall, only briefly addresses this issue. The book really doesn’t provide anything more than most basic non-young earth literature does when it comes to the issue. As such, it is difficult to determine exactly how useful the book is when compared to other works. 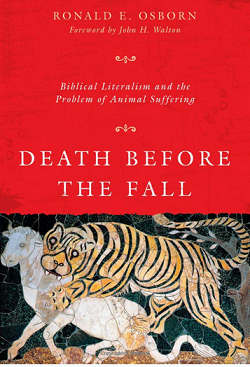 Ultimately, Death Before the Fall: Biblical Literalism and the Problem of Animal Suffering does not contribute much new to the debate over whether animal death could occur before the fall. Osborn presents many interesting points–particularly in his heavy critique of literalism as a method–and the book is worth the read, but its limited treatment of the title is a disappointment. Readers who are interested in the topic of animal suffering and death before the fall are better served to pick up Michael Murray’s excellent and enthralling book, Nature Red in Tooth and Claw: Theism and the Problem of Animal Suffering . Murray’s work is superior in both tone and treatment. It focuses entirely on the topic of animal suffering from a philosophical perspective (and is thus more academic than Osborn’s work, for better or worse). The work has a lengthy (33 pages) chapter dedicated explicitly to philosophical issues with animal suffering and the Fall, which makes it far more in-depth than the work reviewed here. Finally, it provides much greater depth on various theodicies when it comes to animal suffering. Those interested in that topic and the topic of death before the Fall or how the Fall relates to animal suffering would be better served to pick up Murray’s work. Sunday Quote!- Do Trilobites Yield a Greater Good?– I discuss a very minor point in Murray’s work which shows how diverse its threads are for thinking on this topic. 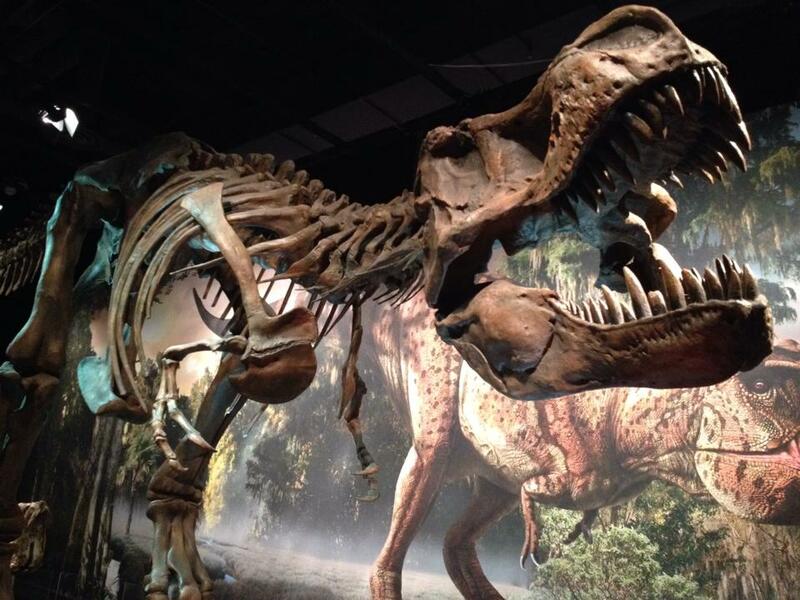 I recently visited the Science Museum of Minnesota to check out the exhibit “Ultimate Dinosaurs” which features a number of dinosaurs which aren’t typically displayed in North America. I heard one other museum-goer talking about how they always thought that dinosaurs just were dinosaurs–that they were the same all over the Earth. But they weren’t! In fact, there is great diversity in the types of dinosaurs found in different parts of the world. Some are found all over North America; others are restricted to small parts of Africa or South America. That got me thinking on creationism. A standard young earth creationist account of the history of the world would state that dinosaur fossils are found where they lay because the Flood put them there. Many YEC accounts are catastrophic in nature, arguing that the Flood recreated the surface of the Earth and left most or all of the layers of sediment we now observe. The dinosaurs (and other creatures) we find were swept up in the Flood and then laid down once the water had settled. Pictured above and left, there is a fossil of a Suchomimus. 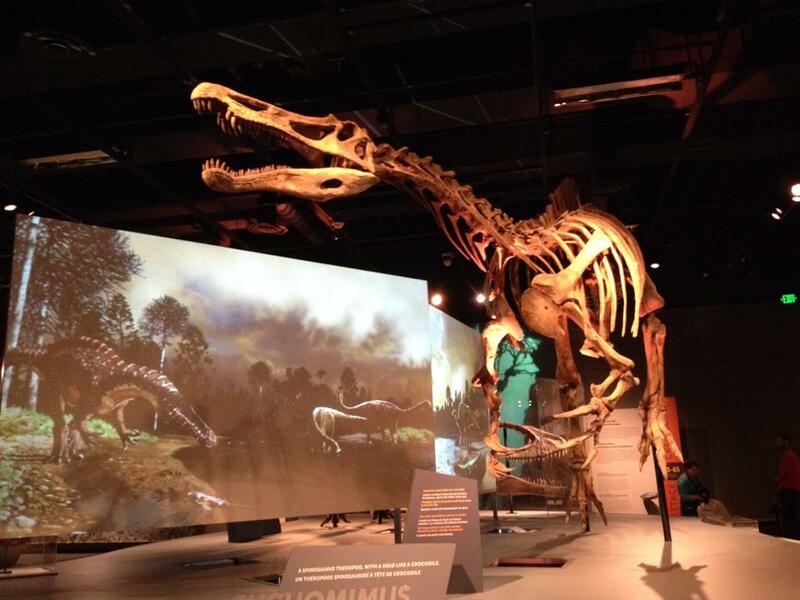 Suchomimus was a fish-eating dinosaur which has only been found in Niger, Africa. According to standard scientific explanations, it lived in the Early Cretaceous period, about 121-112 million years ago. According to a young earth creationist account, this dinosaur died either during the Flood or migrated to the location it was found after the Flood. Either way, this was no more than a few thousand years ago. Pictured below and to the right, there is a fossil of a Tyrannosaurus Rex. It lived in the Late Cretaceous period, about 66-67 million years ago and ranged across what is now North America. Again, a young earth creationist account would have it dying during the flood or going extinct afterwards. The Young Earth Creationist Explanation- A problem? The young earth creationist (YEC) account is once more generally based upon the notion that the Noachian Deluge deposited these fossils where they are now found. 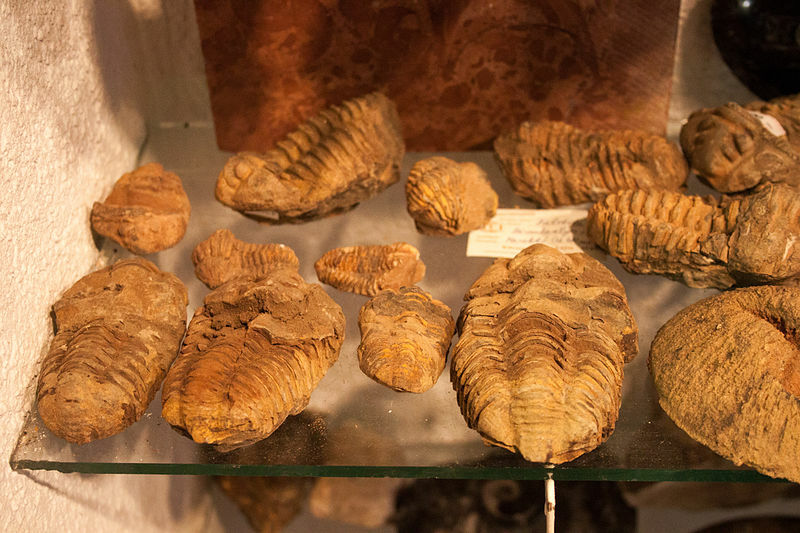 The Flood is to explain how these fossils ended up in their present locations. 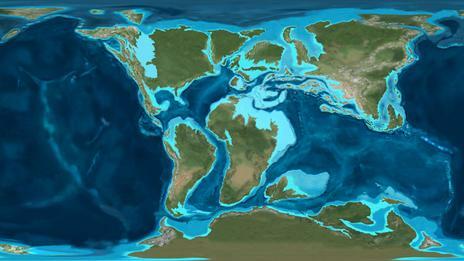 The fact that dinosaurs are found in different parts of the planet–and only in those parts–suggests an interesting problem for YECs: How is it that such a catastrophic event managed to destroy the surface of the Earth and then remake it through layers while creating the illusion of localized ecosystems at different points in history? Such a challenge should not simply be dismissed. YEC literature sometimes suggests that the fossilized ecosystems which are proposed in different parts of the world at different (millions of years ago) times are merely products of the Flood depositing the fossils where they now lay. For example, according to YEC literature, many scientists believe that there was an ancient sea over North America merely because the Flood happened to deposit a bunch of mosasaur fossils and other marine life in a certain layer of the sediment it laid down. The observed evidence, however, goes against this notion. Consider the Suchomimus (pictured above, left) once more. It has been found only in a localized area in what is now Africa. It is nearly certain it was a fish eater. This notion is not a mere product of accidental laying down of fish fossils near and around where Suchomimus has been found. Instead, it is based upon observational evidence. First, its large claws seem perfectly adapted to snagging large lungfish along the shore (large lungfish fossils have been found in the same area). Second, its narrow skull lined with extremely pointy teeth suggest a fishy diet, as it is once more adapted to eating them. Third, and most telling, fish fossils have been found with tooth marks from Suchomimus on their bones. So what? How does this bring up a problem for YEC? Well, to put it simply, it demonstrates that the localized ecosystem found near and around Suchomimus is not a mere random product of fossils being jumbled together and then deposited during the Flood. Instead, predator and prey are found in a localized environment with other fossil specimens that fit neatly into the same ecosystem. But on the YEC account, how could this happen? Surely it would be an astounding happening if an entire ecosystem were swept away by the Flood, jumbled up with others along with sediment and the like, subjected to tidal waves across the surface, and then neatly deposited in a localized area, preserving that same ecosystem. Some YECs (such as Kurt Wise) have instead suggested that the Flood did not destroy the whole surface of the Earth but was rather providentially brought about by God along with catastrophic plate tectonics. On this scenario, water rapidly rose and covered the face of the Earth, bringing with it sediment and the like which rapidly buried such localized ecologies. Setting aside difficulties with such a scenario related to the means by which it would have allegedly occurred, it should be clear that this explanation is at least somewhat more palatable. It doesn’t turn ecosystems into mere fictions. However, this scenario doesn’t solve everything. For example, why are there separate and distinct ecosystems, one atop the other, in the same place? 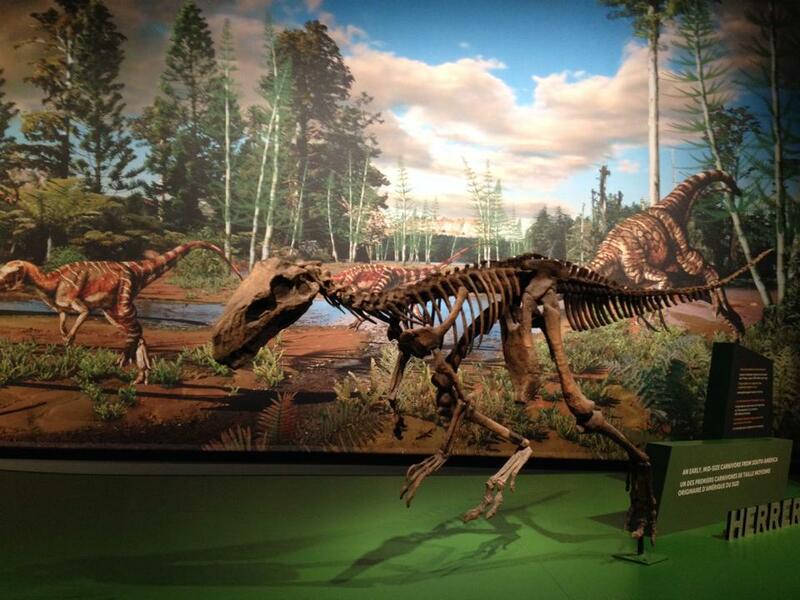 Going to North America, Tyrannosaurus Rex has been found across much of what is now North America. Again, we find prey with T-Rex tooth marks in their bones and the like. We have preserved ecosystems from this time. But different places (like the inland sea I discussed here) feature what appears to be a marine environment. Moreover, different layers, like those exposed through glaciation in the upper Midwest, show entirely different (and seemingly more primitive) marine lief. This raises a number of issues, most of which are relevant for any alleged Flood scenario. First, if the Flood was a sudden event which covered the face of the Earth and thus preserved ecosystems in place, how did it manage to kill off and bury so much marine life? It seems like it must have been gentle enough to preserve the fossil evidence, so why did the marine life not simply swim away and get scattered across other layers as it died? Second, how do we have distinct and separate ecosystems preserved in different layers, one atop the other? Again, the suggestion was that ecosystems were preserved in place–so why do some places have different ecosystems above one another? Third, why are the types of sediment laid down distinct for each ecosystem? If the sediment was all due to one event, then why does the sediment type match the ecosystems which it buries? Second, realistically, which portions of the YEC explanation might be found in the Bible, if any? Having read the accounts of the Flood and Creation many times, I have to say I have never once spotted a place wherein it discusses the distribution of dinosaurs, the way the Flood laid down sediment, or any number of things put forward by YECs. Third, when YECs and others are offering alternative scientific explanations–i.e. an explanation for “how did this [dinosaur] get here?”–they must deal with the fact that we’re looking for the most likely explanation. As I discussed in another post on dinosaurs and creationism, the proposed alternative YEC explanation is very clearly more complex and less likely than that of the one already offered–that the dinosaurs simply existed at different times and/or in different places over the course of history. We should be honest in our evaluations of evidence and look to see which explanation is more likely. Remember, we should be investigating the evidence while trying to stay free of any a priori assumptions about what must have happened and instead look at the evidence to see which explanation best fits. As I pointed out in the post linked above, proposing a global catastrophic Flood as the alternative hypothesis demands an enormous burden of proof. The photographs in this post were taken by me at the Science Museum of Minnesota with permission. Any use of these pictures should be only with express, written consent. The map is an image created by BBC and I do not claim any rights over it but use it through fair use. There have been, he noted, discoveries of dinosaurs in the middle of what should have been fossils of only aquatic creatures in the chalk and limestone that covers much of the central states–what was in ancient times the Western Interior Sea. His proposed explanation is that a dinosaur might die on the shore and get swept out to sea, bloated and floating until coming to rest at the bottom and becoming fossilized. Though not necessarily the “only reasonable” explanation, Everhart’s scenario provides an interesting test case for rival hypotheses. Young Earth Creationists (YECs) tend to view evidences like these as proof of the Flood. That is, given a catastrophic global flood, one would expect that different life forms, all killed together by the flooding of the whole Earth, would be mixed together. Thus, a dinosaur in the middle of what should be sea creatures is alleged to provide evidence for the YEC Flood hypothesis.However, Everhart’s scenario does seem to be more plausible than a young earth account for several reasons. First, Everhart’s proposed scenario is much simpler an explanation than the hypothesis that a global flood swept the dinosaur(s) into the position they are found among so many aquatic remains. This point is not to be understated; on a purely historical level, without any a priori assumptions of what should be the case given a specific reading of Genesis, it seems more reasonable to suppose that a dinosaur died and had its carcass swept out to sea before it was scavenged and sank to the bottom of the sea to be deposited than to suppose that a global catastrophe led to the dinosaur being found in its present location. A picture I took at “Castle Rock” in central Kansas. This beautiful formation has huge amounts of deposited limestone and shells layered atop each other. One can walk to the walls and literally pull slabs of fossils out of the sides. If the YEC account of the flood were correct, one would expect to find multiple varieties of creatures found throughout these layers. Second, and perhaps more problematic for the YEC position, is the fact that such finds as these are extremely rare, when, given a global flood, the expectation should be to constantly find such mixing of types of fossils. Simply finding one dinosaur fossil (or even several) among countless numbers of mosasaurs, icthyosaurs, fish, and of course limestone deposits from sea life (alongside shells of all sorts of varieties, etc.) does not actually provide sufficient evidence for the YEC account of the flood. We should instead find primates, dinosaurs, mosasaurs, trilobites, mammoths, and archaeopteryx fossils jumbled together. What we do find is a stunning uniformity of fossils such that the find of a dinosaur is means for speculation regarding how it got there rather than a commonality which demonstrates a planetwide flood. Third, the dinosaur in question was contemporaneous with the aquatic life. That is, it lived at the same time as the creatures in the chalk in which it was deposited. Again, on a YEC scenario, one would expect instead to find all sorts of mixing of fossils from different time periods. The fact that these dinosaurs lived on land in the same time in which we find them at the bottom of the sea does not suggest a massive global flood which mixed all life (which all lived at the same time) together in one death pool; instead, it counts as direct evidence for the gradual diversification and extinction of life. The finds are consistent with what one would expect with longer periods of time instead of a global flood. Thus, it does not seem that fossils found in unexpected places may serve as evidence for Young Earth Creationism. Indeed, given the second point in particular (and in conjunction with the third), it seems that they serve as yet another evidence against the notion of a young earth and global flood. There are better options for Christians than Young Earth Creationism. Shells and the Biomass of Earth: A serious problem for young earth creationists– I argue that the sheer amount of living organisms we can discover weighs against a young earth position. 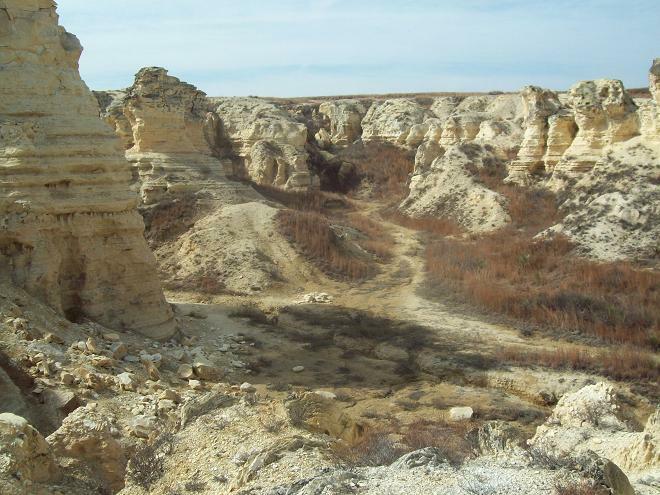 Michael Everhart has written more on the specific find related to the dinosaur in the Smoky Hill Chalk at the Oceans of Kansas site. My thanks to fellow blogger “The Natural Historian” for some comments on the topic of this post prior to publication. 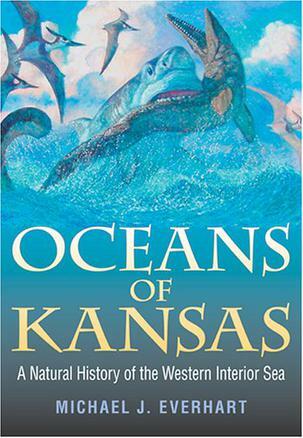 Michael J. Everhart, Oceans of Kansas: A Natural History of the Western Interior Sea (Indiana University Press, 2005). Ken Ham vs. Bill Nye- The Debate of the Decade? Why care about something written about a debate that hasn’t happened yet? Well frankly, because you need to be prepared for whatever happens afterwards, and the best way to do so is to reflect upon the issue at hand. I decided to do a little research, and I put together this post to help frame the upcoming debate. I also have a few comments on it throughout. Fellow Christians, we need to be prepared for this debate. We need to be posting on it beforehand, during, and afterwards. Why? A simple look at Google Trends shows that the search traffic for Ken Ham has spiked hugely since the debate was announced. Side-by-side comparison of Bill Nye and Ken Ham shows both have seen an increase of search traffic from it. To put it simply: people are talking and thinking about this. We need to have a response ready throughout so that the we may demonstrate the reason for the hope within us. The origins of this debate go back all the way to the 17th and 18th century, but we’ll go a bit more modern here and start with Bill Nye’s strong words against creationism. In a video, he began by saying that “Denial of Evolution is unique to the United States…” Such a denial is like “trying to do geology without believing in tectonic plates.” A worldview which denies billions of years, which explains much of the data we see, becomes “untenable” and “inconsistent.” He then addressed the “grown ups” and said “if you want to deny” the scientific evidence for the age of the universe… “that’s fine, but don’t make your kids do it… we need scientifically literate voters [for the future].” Regarding the case for a young earth “there’s no evidence for it.” Nye noted that he believes the young earth worldview won’t exist within a couple centuries. Ham alleged that if evolutionism were true, then people should just be able to see it. Instead, he argued that people like Nye have to protect children from hearing any alternative theories so that they don’t question what they’re being taught. “You don’t teach them to think critically… you just want to make sure they only hear about evolution.” Creationists, Ham said, should be happy to teach their children about evolution so that they are able to think critically about it. My primary issue with this debate is that it seems both sides are putting forth a false dichotomy: the only two options, it is alleged, are either naturalistic evolutionism or young earth creationism. However, this does not even begin to exhaust the range of possibilities regarding the origins debate. There are theistic evolutionists, old earth creationists, progressive creationists, and more. The problem is that when the average person on the street sees a debate like this, they’re going to assume the options they observe are the only positions out there. Suppose Ken Ham gets beaten badly in this debate; in that case, Christians who now think young earth creationism is the only option will believe that it cannot stand up to scrutiny, and–by extension–their faith cannot stand up to scrutiny either. Similarly, suppose Bill Nye gets beaten badly; in that case, Christians may attach their belief to young earth creationism, a position which does not seem viable. Bill Nye’s comments regarding what parents should or should not do sounds quite a bit like indoctrination. That is, he urged creationist parents not to teach their parents creationism. Now, even though I disagree with Ham’s form of creationism, I do think that parents should be allowed to pass their beliefs on to their children. To say otherwise seems to me an affront to freedom of expression. As far as Ken Ham’s comments go, I’m not convinced by his assertion that one’s desire to teach evolution must be linked to a desire to teach kids not to believe in God. After all, later in the same video he urges creationist parents to teach their kids about evolution. Surely he’s not saying that creationist parents are trying to teach their children there’s no God when they teach them about evolution! Ham’s comments seem to do the same thing Nye’s did: paint a picture of a false choice between naturalism and his brand of creationism. I’m not secret about my views regarding young earth creationism. I simply do not think it accounts for the biblical text or the natural record. Neither do I think a naturalistic perspective is capable of dealing with all the data at hand. However, whatever your view, I still strongly encourage you to consider 1) writing on this topic from your perspective. The more Christian voices we have talking about this, the better. Also, 2) don’t fall victim to the false dichotomy offered by this debate. The extremes are not the only options. Check out the live stream of the debate here (the debate is on 2/4/14 at 7PM ET).